Think again if you thought Tata‘s new SUV onslaught will stop with the launch of the Nexon. The popular Indian car company also plans to launch at least two new SUVs that will be positioned in the premium SUV segments. Currently known by their codenames, Tata Q501 and Tata Q502, these upcoming Tata SUV cars in India will be based on the Land Rover Discovery platform. Rumours abound that the new SUV will be christened as the ‘Merlin’ and that the Tata Merlin Q502 launch date will fall late next year. The manufacturer has already started testing this SUV on Indian public roads. Details are rather scarce at the moment, but here’s what we know about the Q502’s price, specifications, mileage, and exterior and interior design. Out of the two upcoming SUVs, the Q501 will be more premium. It will go on to rival the likes of Toyota Fortuner and the Ford Endeavour. The Tata Merlin Q502, however, will find itself slotted below the Q501 and will instead face competition from models like the Jeep Compass and the Hyundai Tucson. While Tata previously used the Merlin name for the pre-production Safari Storme, the upcoming SUV will have nothing to do with the now aged model. The upcoming Q502 five-seater SUV will gets its juice from a Fiat-sourced 2.0-litre Multi-Jet II diesel engine that even powers the Compass. This engine outputs a maximum power of 170 BHP and a peak torque of 350 Nm. Transmission options will include both manual and automatic units. The Tata Merlin Q502 five-seater premium SUV will even get a four-wheel-drive system that the company has been busy developing with the help of Jaguar Land Rover. This system won’t be the same as the one available on the Hexa. Prices of the Tata Q502 SUV could start around Rs 14 lakh and go all the way to Rs 19 lakh. A pre-production version of this SUV could be present at the fast approaching Auto Expo 2018. 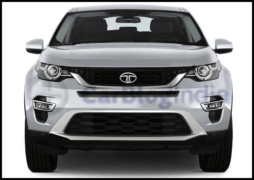 Tata Motors is yet to reveal any official information on the launch date of this SUV. However, the fact that the road tests of the upcoming SUV have already commenced hints at a late-2018 launch. Also, the company might reveal a pre-production version of the Merlin at the Auto Expo 2018. Prices of the Q502 will start at Rs 14 Lakh. The fully-loaded Diesel automatic model will cost Rs 19 lakh. The Merlin will go on sale in both Petrol and Diesel avatars. At this price point, this SUV will become a direct rival to the likes of Jeep Compass and Hyundai Tucson. It will even rival the soon-to-launch Renault Captur and top-end variants of the Hyundai Creta. At this price point, the Merlin will even end up in the same price bracket as the Hexa. However, the two Tata SUVs won’t compete with each other as the Hexa is a seven-seater SUV. The Tata Merlin Q501 SUV will come with the Fiat-sourced 2.0-litre Multijet II Turbo Diesel engine. This is the same engine that also powers the Jeep Compass and has won plenty of acclaim for its refinement and healthy performance. The turbo Diesel engine outputs a maximum power of 170 BHP and a peak torque of 350 Nm. For the upcoming SUV, the motor will come mated to both manual and automatic transmissions. While the 2WD variants will have a rear-wheel drive format, the top-end models will benefit from four-wheel drive. 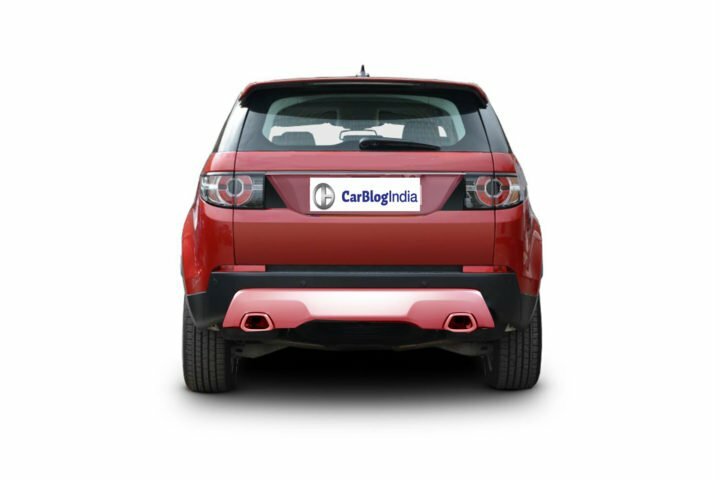 This 4WD system is being jointly developed by Tata Motors and Jaguar Land Rover. It is likely to come with Land Rover’s excellent Terrain Response program. As the engine comes the Jeep Compass, the mileage won’t be too different. Hence, expect the 4×2 models to offer an average mileage of 17 KMPl and 4×4 to offer 16 KMPL. Being a premium SUV, the Merlin will have a really long list of features that will not only enhance the comfort and convenience of the passengers, but will also make sure of their safety. Tata has got busy testing both the Q502 and the Q501 on Indian public roads. We have already seen a few spy images of the upcoming models and have got a fair idea of the designs of these SUVs. It really looks like the SUVs will look a fair bit like the Discovery Sport. We are really fond of all the latest designs from Tata Motors. Led by Mr Pratap Bose, the design team at Tata Motors is doing a fantastic job. We expect the upcoming models to look really modern and in fact, even a bit radical. While the bigger Q501 will have a higher ground clearance and look more rugged, the Merlin Q502 SUV will look far sleeker and will have a crossover-isa design. It will look a lot different from the Hexa, but will have a resemblance with both the Discovery Sport and its bigger brother, the Q501. The cabin of the Merlin will come loaded with many high-end features. It will be made up of high-quality materials and will have a pleasing design that will be sufficiently modern and a touch minimalistic. The Q502 will be very spacious and offer enough legroom, headroom and shoulder room for five passengers. It will offer a touchscreen infotainment unit that will support Apple CarPlay and Android Auto. The interior will offer a flexible seating arrangement and will offer a decent luggage-carrying capacity. Of course, the interior will come loaded with comfort, convenience, and safety features. We are pretty sure the upcoming Tata Merlin Q502 SUV will offer a panoramic sunroof, a high-quality Harman audio system, touchscreen infotainment, multi-zone air con, and electric seats among many other fetures. Not much more is known about the upcoming Tata Merlin Q502 SUV. However, you can stay tuned to CarBlogIndia for latest news updates on the launch date, price, specifications, mileage, exterior and interior design, and features of the upcoming Tata SUV.